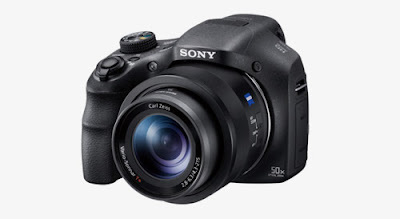 New Delhi, January 30, 2017 – Sony India takes the imaging experience a notch higher with the launch of its all new Cyber-shot™ HX350 high-zoom camera. From expansive landscapes to exotic wildlife and family portraits: every scene’s covered with the Cyber-shot™ HX350 high-zoom camera. Discerning photographers graduating from smartphone snaps will love the mix of easy-to-use features and DSLR-inspired styling. Fitting beautifully in your hand, the HX350 packs big camera performance into a compact body – for limitless creative possibilities with a fixed lens. Equipped with the Carl ZEISS® Vario-Sonnar T* coating lens, it offers a huge 50x optical zoom range – corresponding from 24mm wide angle to 1,200mm super telephoto (equivalent in 35mm format). 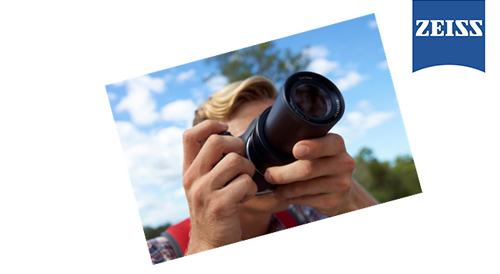 The Clear Image Zoom feature on the camera doubles the maximum magnification to a breath-taking 100x1; bringing distant buildings, people and animals jaw-droppingly close. The HX350 Cyber-shot™ is loaded with a 20.4MP, high-resolution back-illuminated Exmor R™ CMOS sensor and a speedy BIONZ X™ imaging processor for effective and accurate image processing. Even for the handheld indoor and low light shooting, the high-end camera compliments crisp, low noise images and pristine Full HD video footage. The unique camera also embraces Optical SteadyShot™ feature that cuts handheld wobbles and camera shakes to attain crisper stills. This enables rapidly shifting of a group of lens elements to correct the slightest hand tremors. On the other hand, the Intelligent Active Mode allows users to record Full HD videos equally sharp and blur-free quality with Sony’s proprietary frame analysis technology. The convenient Cyber-shot™ HX350 stocks serious shooting options within. It includes a manual ring for smooth adjustment of zoom/focus, plus an easily-accessible mode dial and custom button for quick adjustment of favourite settings. In order to craft stunning pictures and Full HD videos, all the exposure options are available on this brand new handy camera by Sony. Movie-makers will also welcome the extra detail of a 24p shooting mode that gives footage that authentically cinematic look. The intuitive HX350 offers with an excellent choice of framing shots. The camera’s high-contrast electronic viewfinder is as accurate as one expects on a DSLR which can also be switched to manually tiltable 7.5cm (3.0-type) LCD with 921k dot resolution. Another convenient addition is the Motion Shot Video feature, that traces a tennis serve or golf swing as a split-second series of superimposed images. After shooting, the camera can be connected to a 4K television for a big, beautiful view of photos. The support for TRILUMINOS™ Colour on the camera with BRAVIA™ TVs compatibility ensures still shots bursting with vivid, vibrant colours for after viewing. Cyber-shot™ HX350, for now, will be available exclusively on Amazon from 30th January, 2017 onwards.